RUSH: This is a column in the Wall Street Journal today by noted sportswriter Jason Whitlock, who says Kanye had one of the best tweets of all time. Did I not tell you that that Kanye West tweet was brilliant? Did I not tell you that it was genius? His “400 years of slavery must be a choice” tweet? Did I not tell you how that was genius? It required translation, and the reason it required translation is because the left got into full gear. The minute he said the word “slavery” and “choice,” we all knew what was gonna happen. He was gonna be mischaracterized. What he said was going to be misreported. And it was. And the reaction, “Kanye West needs to get his mind right! Kanye West needs to be dragged back home. “Kanye West ought to know that there was no choice involved. Those chains were slapped on you on the boats and you had no say about it.” That’s not what he said. What Kanye West said was, 400 years of slavery in the United States when it ended over 150 years ago? If you’re alive in America today and you’re African-American and you still think that your primary identity is as a slave or your legacy is as a slave, then you have to be choosing it, because there isn’t any slavery in America today! That’s what he was saying, and what he meant by choosing it was, you are simply behaving and speaking the way the Democrat Party is telling you. You’re not allowed to independently think about anything. He was dead-on right. He was more right than maybe he even knew, and it was… Ah, it’s a little unfortunate that he needed it to be translated. It was gonna need translation because he put those two terms together, “slavery” and “choice,” and he just gave the left and all of its machinery an open field to attack him on the basis that he was saying that slavery was always a choice — which, of course, it wasn’t. And they were able to misrepresent what he said and mischaracterize what he said. So into this fray now wades Jason Whitlock. “After a nearly yearlong social-media hiatus, polarizing rap star Kanye West re-emerged on Twitter last month. 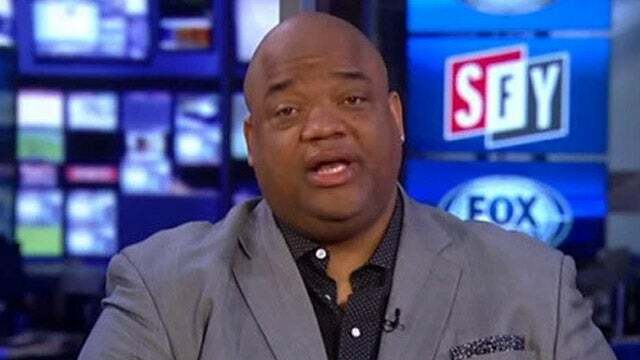 On April 25 he shocked the mainstream media by expressing admiration for President Donald Trump.” Now, this is the tweet that Jason Whitlock thinks is one of the best tweets of all time. Ready? “You don’t have to agree with Trump but the mob can’t make me not love him. 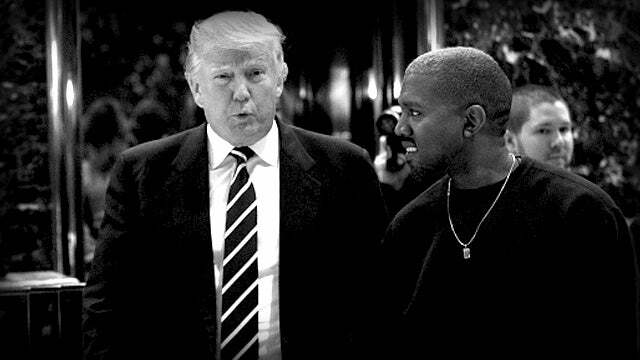 “We are both dragon energy. He is my brother. I love everyone. I don’t agree with everything anyone does. That’s what makes us individuals. And we have the right to independent thought.” Now, Whitlock says that that tweet was the one “heard round the internet” and that it “pleased” Trump. But it’s later in the piece where Whitlock decided to define modern American liberalism. He says, “Liberalism is black people’s cigarette. In the immediate aftermath of the civil-rights movement, Democrats marketed liberalism to us as fashionable, sophisticated and liberating. “Today it needs a surgeon general’s warning: hazardous to your family and the values you were taught as a child.” Liberalism: “hazardous to your family and the values you were taught as a child. … The Democratic Party capitalized by promising black people government dependency disguised as assistance. The welfare check, the replacement for black fathers, is liberalism’s nicotine. Hollywood celebrities were once deployed by advertising companies to make smoking seem cool; today, they are deployed by liberal interest groups to make progressive politics seem like the only solution to black people’s problems. Thomas Sowell has said this 15 different ways in 15 different books. He’s yet to be credited for it. Kay James has said this I don’t know how many different ways. So has Shelby Steele, and so has Dr. Walter Williams. There have been a series of successful African-American conservatives who have nailed liberalism, the Democrat Party. We have had callers! We’ve had African-American women call this program over the course of 30 years and describe to us how the Democrat Party destroyed the black family by assuming the role of father via AFDC and the welfare system. And once the mother can have any number of kids — for a time this was true — and get a check for each one, monthly subsistence for each one with no father at home? There was no reason for the father to stay at home. There was no reason for the father to even be the father because the Democrat Party made sure the government assumed that role. There have been a number of people make this point. Now, here comes Jason Whitlock, and he comes from the world of sports making this point, and the Wall Street Journal gave him an op-ed column to do it. So it’ll have its own degree of impact. But look, the more voices, the better — and from the wider array of groups and cultures and voices, the better. And all of this has been inspired by a couple of tweets from Kanye West, who shows no signs of retreating, who shows no signs of going wobbly here. So more and more people are willing to step forward and if necessary translate what Kanye’s saying. ‘Cause Kanye’s got us his own line of rap; he’s got his own way of saying things. I’m telling you, the things that he said recently? Trust me, they are very, very bright. Do not doubt me on this, including that 400 years slavery, you gotta be choosing it. That was so bull’s-eye, I can’t begin to tell you.